You can probably count the number of truly good friends that you have on one hand and even then you’ll probably be only using two or three fingers. When I say friend, I’m talking about those that can pick you up when you are feeling down, those you can pick up the phone too and spend minutes or hours talking about something or nothing and those that you can truly be yourself around without feeling that you are constantly being judged. So with friends hard to come by why would you put money into the mix? I’ve read and seen stories where people have talked about what they would do if they were ever to win the lottery, only for their numbers to come up. I’m a big fan of courtroom television and find it incredible that so-called friendships can be ruined by what can be considered minuscule amounts. What is interesting is that those that have been lent money don’t see anything wrong in continuing to spend as if they didn’t have a care in the world. The fact that their friend or family member might now need this money back isn’t even given a second thought. When giving money you have to make sure that you actually make it clear that this is a loan with the expectation that you will be wanting it back at some point. And guess what happens when you do ask for it back, you’ll hear 1,001 excuses why the other party can’t or won’t pay it back. When you lend money to friends and family, no matter what the amount it becomes the norm. This is made worse when the asking party knows that you’re actually good with money and have been able to save yourself an emergency fund or have come into money from another source. You will quickly become considered the “bank of” and it is likely that you will be asked for more money than you are prepared to lend, and unfortunately saying no is often the hardest thing to do. It’s all very well lending money in the good times, but no one ever really knows what is just around the corner. Are you going to be able to bite the bullet and actually ask for it back when you need it. The three reasons above, lead to one conclusion. No matter how strong you think your relationship is lending money is a surefire way of ensuring that you ruin your relationship. There is going to be situations where you don’t agree with the reasons about what the money is being spent on, or you are going to find out that the spending habits of the borrower haven’t changed for the better. You might think that you’re lending money purely out of love and affection for the borrower, but this is a proper financial transaction, where both parties have to know the expectation of repayment. Therefore getting a loan agreement in place ensures that all parties understand their rights and obligations. What needs to be in a loan agreement? There are plenty of templates available on the internet, but you can quite easily draft you own. If it isn’t signed it’s not worth the paper it’s written on so make sure that all parties have read and understood the terms of the agreement and even better have a third party sign the agreement as a witness. If you find yourself being constantly asked to lend money you might actually be doing more harm than good in lending the money without question. 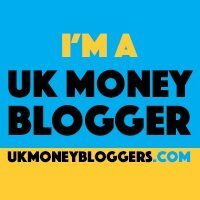 You have obviously been asked because you’re good with money so why not try and pass your knowledge about personal finance on. If the borrower has no interest in being taught skills that will help them in the future, you have to wonder whether they are certainly someone that you should consider lending money too. I totally agree with what you are saying in this article. Over the years I made a mistake of lending money to friends and family and I learnt the hard way to never lend money to friend and family. Instead of lending money its better to give them without an obligation for the borrower to give back the money. I’ve had good relationships ruined by lending money too. It’s a shame that sometimes saying no means the end of that relationship. But I guess it might have not been that good in the first place. Love this article! It’s very well written. Shared for a friend going through this same issue. Thanks Sherry. I’m glad you liked it enough to share with your friend. I hope they’re able to resolve their issue soon.